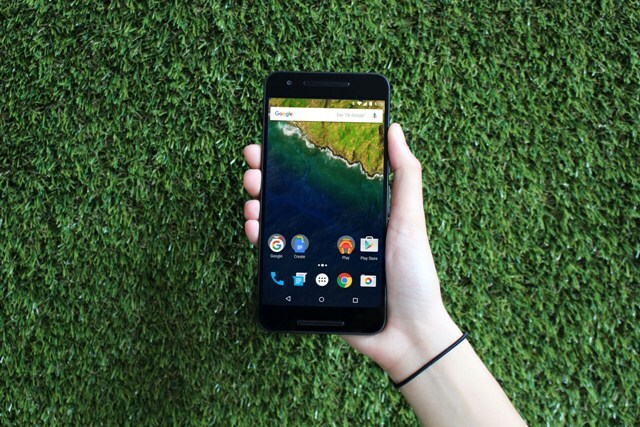 The Huawei Nexus 6P is dubbed as the new Android King. We have listed all the reasons for you to love it. Check it out in our Live with the King feature. Everytime Google releases a smartphone, the tech world instantaneously dubs the handset as the Android King. The moniker has always been true when it comes to its pure Android experience. However, the Nexus has never claimed the top of the smartphone pile when it comes to elegant design and craftsmanship of materials. Not until the Huawei Nexus 6P. The history of Nexus line of smartphones is defined with untouched clean software, no-nonsense mediocre design and upper mid-tier feature set. This time, however, Huawei did a pretty good job in ticking all the necessary boxes in making a top-of-the line smartphone. Considering that the smartphone is the most important gadget in our lives, we deem it vital to have the best handset to help us get through our daily routines. Here’s why we think the Huawei Nexus 6P is King. In the past years that it released a smartphone, the search company always promises its tacit support to its mobile operating software. However, we have not seen a Nexus smartphone being in toe-to-toe with other premium manufacturers when it comes to hardware build and design. Huawei’s reputation of building eye-watering phones is very evident with the Nexus 6P's design philosophy. The Huawei Nexus 6P comes with a premium aluminium frame accented with rounded curves and diamond chamfers. There’s a piece of glass covering an intricately designed module of its rear camera system. 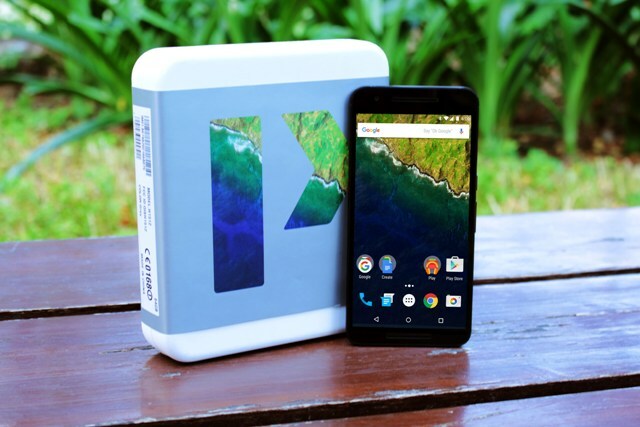 This gives the Nexus 6P the striking visual identity from the sea of high-end Android phones. The handset is highlighted with a 3D curved glass which basically adds a worthwhile experience when interacting with the screen. Huawei Nexus 6P can sit with the most well-crafted handsets in the market – the design has a sense of balance. Nothing is compromised and everything about the design is on-point. Being in the higher end of the smartphone spectrum, you need the best display technology. A premium smartphone display urges us to pick it a hundred times a day and stare at it for hours. And the Nexus 6P’s panel is doing great in this department. Underneath the symmetrical glass on the front is the 5.7-inch AMOLED display with 2560 x 1440 pixels. This Quad HD panel packs 518 ppi pixel density which makes it sharp and bright. The display is definitely crisp and stunning in any brightness level. Plus, Huawei pushed the display close to the surface giving an illusion of popping images. Huawei and Google have made a serious leap when it comes to this department. Comparing it to any other Android device, the Nexus 6P instantly captures the heart of photography buffs with its 12.3MP Sony sensor with Laser autofocus. The camera is definitely fast and can be accessed by double tapping the power button. It is also worth-noting that the Nexus 6P’s rear camera comes with larger pixels (about 1.55 micrometer) which technically allows it to pass more light and perform better in lowlight conditions. On the front, there's the 8MP secondary shooter for great social media selfies. In normal lighting, the camera performs even better with great color accuracy and white balance. Aside from the basic stuff, the Nexus 6P also throws in HDR mode, burst mode (in which outputs can be used into animated Gifs), 4K video recording and SloMo videos. All of Nexus 6P's camera features and its capability to tap with Google’s photo management system make it the smartphone camera to beat. A smartphone plays a significant role in our lives; and in this technological age, it also serves as an extension of ourselves. For the first time, Google is branding its fingerprint sensor as the Nexus Imprint. Design-wise, the fingerprint reader is housed at the back panel of the handset. It’s perfectly "subtled" in a recessed round area that nestles your index finger while holding the phone. Surprisingly, you can unlock your phone in just one tap. It also simultaneously trains itself to perfectly know your prints everytime you use it. Thus, this means that there’s a slim chance to have a fail-touch issue while unlocking the phone. Likewise, Nexus Imprint is also a welcome feature in using your Android Pay or buying in Google PlayStore. A great hardware must be paired with great software. Of course, we love a Nexus smartphone because it comes with untouched Android OS. Everything is just simple and natural with the latest Android 6.0 Marshmallow. This means that the OS is free of bloatwares which swarm in other Android hardware manufacturer's UI. And since this is a Nexus phone, the 6P will be the first in line to get the sweet Android update before any other Android flagship smartphone does, or any other phone for that matter. Google's Mobile OS is also gaining traction in terms of number of apps. A great ecosystem of apps, timely Google updates and support from developers give Nexus 6P a longer commercial value compared to any Android phone. The Huawei Nexus 6P is an awesome phone. That's why we can’t contain our list to only 5 items. For one, it also comes with long battery life. I’m impressed with the fast charging capability due to the new USB 3.1 Type C. It also comes with the best battery management features in town – the App Standby and the Doze. The latter technically shuts down everything when a smartphone is sitting on a surface or isn't moving. Picking it up or trying to move it will automatically turn everything on. It also ticks with a new generation Qualcomm’s Snapdragon 810 coupled with 3GB of RAM. This combination has been proven and tested in chewing everything thrown at it with ease. There has never been a better time to buy an Android phone. Both Huawei and Google stood its grounds along with other big names in the premium smartphone market. The Huawei Nexus 6P has the making of a great phone. Premium metal design? Check. Stunning display? Check. Great camera? Check. Fast Fingerprint sensor? Check. Enormous software-ecosystem? Check. It has brought all the good stuff on the table. Crowning it as the Android King is definitely a no-brainer. And for the nitpicky consumers who have been on the market for the best smartphone to live with for the next two years or more, the Nexus 6P has proven to be a compelling choice. It took a considerable amount of time waiting for the perfect Android royalty. 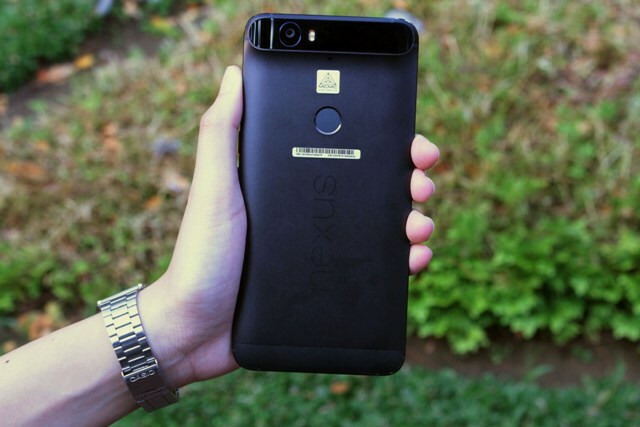 However, Huawei Nexus 6P has proven to us that it's all worth the wait. And it's here. For the longest time, we can now Live with the King.